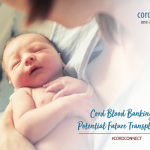 Home > Cord Connect > Cordlife India > How can you cope with the stresses of working night shifts during pregnancy? Pregnancy needs care! You might sign up to work during the first few months of your pregnancy, as you don’t want to get restricted in a room, all day, whole day. You might also want to catch up with your office friends and talk about your experiences. Or simply, you could choose to work, because you love to work. But that doesn’t take away the fact that you have to maintain caution with your health! 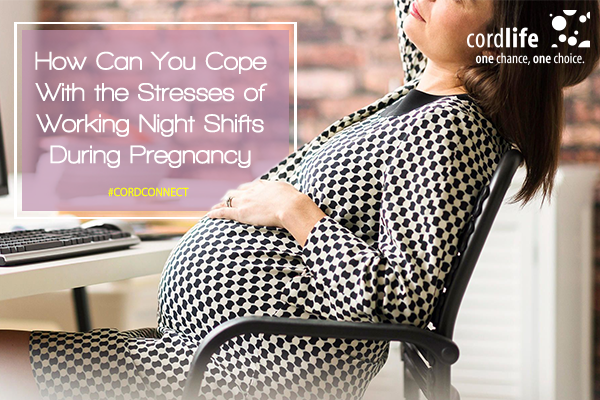 Based on a study published by the “Obstetrics & Gynaecology”, Reuters Health, most pregnant woman who opt in for a night shift at work, usually steps into the danger zone of having a premature delivery. Day shift doesn’t pose such hazards. So, what do you when you have to work a night shift and you can’t transfer for a day shift even on request? Here are few useful tips to help you sail through this and stay free of any health hazards. If your job requires you to keep sitting for long hours during the night, make sure you have a comfortable posture. Don’t keep sitting in one position for long as that will lead to cramps and pains. Also ensure that you don’t strain your back or that your stomach region is not over stressed whilst sitting. Carry a cushion with yourself and keep it at the back of the seat, which will add comfort to your sitting position. Also make it a point to stretch your legs at an interval of 30 minutes. If possible, take a walk sometimes in between your work. Health and nutrition is essential during pregnancy! When you’re working at night, your body uses more energy. So, it’s always beneficial to carry fresh fruits with you to office. So, pack in a box of nuts, almonds, your choicest fruits, glucose biscuits and juices. Snack on it whenever hungry. This will help you keep your energy level high. And chances are if you finish your work fast, you might have the chance to return early as well. Avoid wearing tight clothes at all cost. Your body needs to feel free and relaxed as you are working. Stick to comfortable loose clothing that will help you move around easily and breathe well too. Though you might not need it but carry an extra pair of clothing for safety. 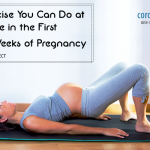 Let go of the need to perform extra well during your pregnancy! Once you have the baby and re-join work, you can get going with all your creative chops and management skills and prove your worth. Do the basic needful when you’re at the night shift whilst your pregnancy. Also keep your seniors informed about it, so that they don’t overload you with excess work. Also place in a request that you might leave early or do a half-time if there’s a health concern suddenly. When back at home don’t skip a 7-hour sleep. This is when your body will work up for all the wear and tear that happens during the night shift job. So, don’t compromise on the sleep. Set an alarm and make sure there’s nothing coming between your way and the sleep. Often night shifts at office mean comfort eating! So be a part of the fun but stay away from consuming non-vegetarian means brought by your fellow workers. This will result in indigestion. Resort to a healthy food habit at home and work instead. Consume raisins, almonds, green tea, lots of fresh greens, berries and other wholesome, healthy food at night. Keep your doctor’s number handy so that you can dial as and when there’s a need. So, if you have a night shift to attend, these are some of the tips that will keep you healthy during your pregnancy.